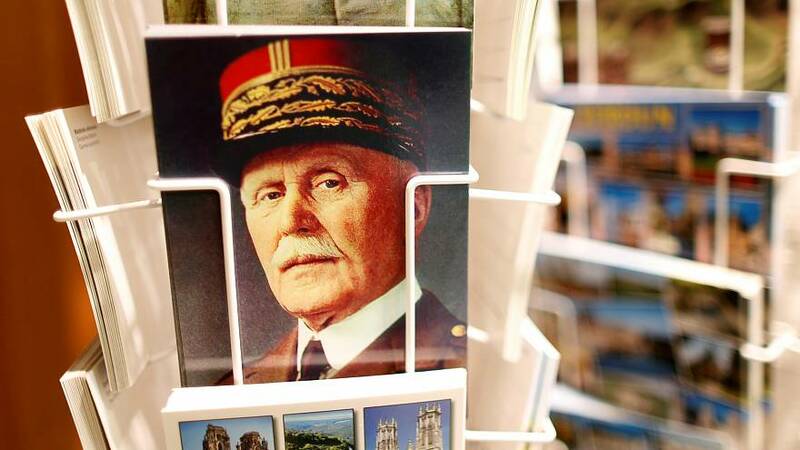 The Elysee Palace has insisted there are no plans to pay tribute to Marshal Philippe Pétain, who led the French to victory at the Battle of Verdun in the First World War but subsequently collaborated with the Nazis during the Second World War. It comes amid remarks by President Emmanuel Macron, who described him as a “great soldier” in WW1, before going on to make “dire choices” during WW2. But in the face of an outcry over the comment, the president’s office and a government minister said that at Saturday’s planned ceremony at the Invalides paying tribute to French generals, Pétain would not be included. The stance is being reported as a U-turn in French media, in which army sources have been quoted as implying that Pétain had been included in original plans. Macron’s remarks unleashed criticism from Jewish groups, his political opponents and on social media, with #Pétain now trending in France on Twitter. Pétain was promoted to commander-in-chief of the French armies after his victory at Verdun — the longest battle of the First World War, in which more than 300,000 French and German soldiers were killed during 10 months of trench warfare. He emerged from the Great War as a national hero, with streets in towns and cities across France named after him. Two decades later, with France poised to fall to Nazi forces, Pétain was appointed the country's prime minister. His administration, based in the unoccupied part of the country known as Vichy France, collaborated with Nazi Germany — participating in the round-up and deportation to concentration camps of France's Jews. After the war, Pétain was sentenced to death for treason, although then-president General Charles de Gaulle, a longtime admirer of Pétain, reduced the punishment to life in prison, citing his age and his military heroism during the First World War. Despite appeals for his release from figures including the Duke of Windsor, US president Harry Truman and General Franco, Pétain died in prison in 1951, aged 95. Francis Kalifat, president of Crif, the body representing France’s 400,000-strong Jewish community, said: “It is shocking that France can pay tribute to a man deemed unworthy of being French in a trial held in the name of the people." Jean-Luc Mélenchon, head of the hard-left La France Insoumise [France Unbowed] party, posted on Twitter: “Marshal Joffre was the military victor of the 1914-18 war. Pétain was a traitor and an anti-Semite.